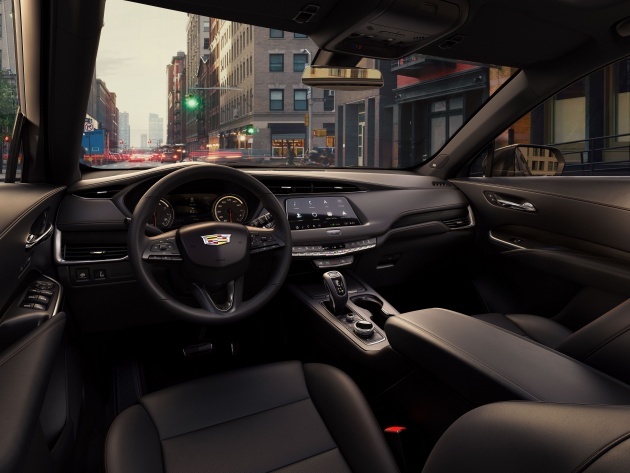 Cadillac has introduced a new addition to its SUV line-up with the new 2019 XT4, which recently celebrated its world premiere at the 2018 New York International Auto Show. The compact SUV joins existing models like the XT5 as well as the big ol’ Escalade. The XT4 may be smaller than the XT5, but it is a lot youthful in appearance – not surprising considering the target market for the model. At the front, you’ll find the wide Cadillac grille flanked by sharp headlamps that are integrated with the corner air inlets, which are isolated on the XT5. From the side, the XT4 shares quite a lot in common with the XT5, including steeply-raked C-pillars, but does without a number of chrome accents. 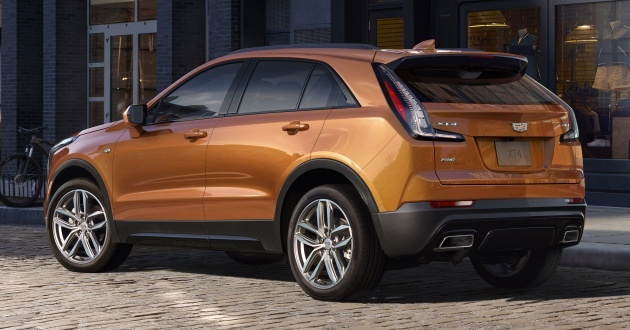 It’s a different story at the back, with the XT4’s L-shaped taillights swept upwards towards the roof spoiler compared to the smaller units on the XT5. A pair of rectangular-shaped exhaust outlets are another shared design cue shared between the models. Dimension-wise, the XT4 measures 4,599 mm long, 1,881 mm wide, 1,627 mm tall and has a 2,779 mm wheelbase. The five-seat compact SUV also comes with a ground clearance of 171 mm. As for the interior, the XT4 is again the more fashionable sibling, as exhibited by the modern-looking 8-inch touchscreen infotainment system, controls for the climate system and sporty steering wheel. Elsewhere, you’ll find the top air-con vents neatly tucked into the dashboard, with supplementary vents located near the door handles. The American carmaker promises up to 1,004 mm of legroom for rear passengers and 1,385 litres of cargo space when the rear seats are folded down. Other practical features include 15-watt wireless smartphone charging, NFC pairing, four standard USB ports and three 12-volt power outlets. Three variants will be offered when the model goes on sale in fall 2018, starting with the base Luxury as well as the Premium Luxury and Sport. Depending on the chosen variant, the equipment list will include different designs for the 18-inch alloy wheels (optional 20-inch units), LED headlamps, premium trim, sunroof, Bose audio system and suite of safety and driver assistance systems. Regardless of variant choice, only one engine is being offered for now – a 2.0 litre turbocharged four-cylinder that makes 237 hp at 5,000 rpm and 350 Nm of torque from 1,500 to 4,000 rpm. The mill is paired with a Hydra-Matic 9T50 nine-speed automatic transmission with drive going to the front wheels, but a twin-clutch, decoupling all-wheel-drive system will also be available. The Sport variant adds on Active Sport Suspension with Continuous Damping Control, which uses electronic sensors to monitor the road in real time and making damping adjustments every two milliseconds. All XT4s employ front struts and five-link rear suspension as standard. 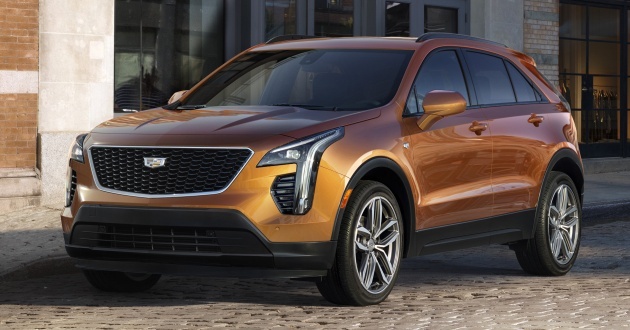 “The first-ever 2019 Cadillac XT4 expands our successful SUV lineup to a segment where Cadillac has never been before. And it sets off a dramatic expansion and elevation of the product range, that will see a new Cadillac virtually once every six months through 2021,” said Cadillac president Johan de Nysschen. Murican domestic cars still have polarising looks.